With the acceleration and popularization of high-definition video, online games, cloud computing, and the Internet of things, the era of big data, network bandwidth will usher in unprecedented challenges. The pressure of these high bandwidth businesses on the network is particularly evident on the backbone network. The 10G/40G technology commonly used in the current network has been unable to meet the needs. After that, the 100G network is imperative. Currently, various key joint operators in China have successively deployed the 100G system on a large scale. The test demands of 100G have also been transferred from the laboratory to the existing network, which also raises higher requirements for test manufacturers. Therefore, what challenges will 100G test face when 100G comes to the scale business? Is the test vendor ready for this? In 2012, the 100G network has been widely deployed in some areas of Europe and the United States, ushering in the first year of 100G for commercial use. In 2013, as China Mobile announced the plan about the large-scale central purchasing of 100G OTN, the commercial application of 100G was raised to a higher level. The 100G market is about to usher in a golden period. 100G can reduce the cost per bit. 100G can provide new revenue opportunities. 100G is beneficial for operators to use the existing fiber and to improve the rate of return on investment. 100G can reduce the time delay of the network. Eitenne Gagnon, the vice president of EXFO physical layer and wireless product business, thinks, “in the later years, the main driving forces to promote the overall commercial use of 100G also emerge from 4 levels, including mobile backhaul, 4G/LTE, FTTH/VDSL2, and 40G/100G network upgrade. 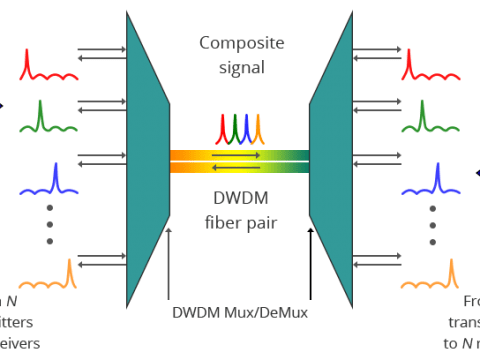 It is known that the most essential difference between 100G and traditional optical communication is the utilization of coherent detection technology on the line side. At the same time, the standard group, OIF, defines that the 100G modulation technology adopts the unified DP-QPSK. Compared with 40G, the unified modulation mode provides an opportunity for 100G line interface to achieve standardization, and the DP-QPSK signal also becomes more complex. Based on the above characteristics, the test of 100G is also facing many challenges. For example, how to evaluate the signal quality of the 100G system before deployment, and how to maintain the 100G system after deployment. Since the 100G network has entered into the large-scale deployment stage, the new demands to the 100G test have been put forward. Communication experts pointed out that test instrumentation previously used by 100G is used in the laboratory, which may be relatively large in volume; while on the existing 100G network, we need to provide portable 100G test instruments that are more suitable for operators to use on the spot and support multi-service testing. Meanwhile, operators need a test solution to establish, verify and diagnose 100G networks. Although the 100G network is faced with a series of challenges, and it is a fact that the 100G network has been the development trend in nowadays’ networks. It is believed that these challenges will be overcome with the advancement of technologies.